This is a 34mm. 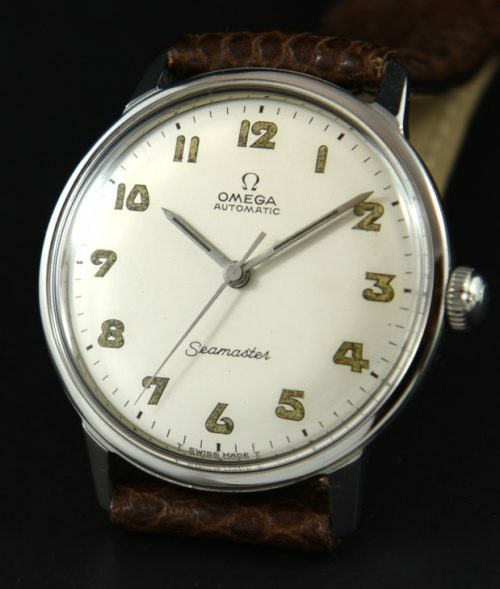 stainless steel OMEGA SEAMASTER dating to 1963 with original OMEGA winding crown and having an amazing looking and uncommom ORIGINAL dial with eccentric Arabic numerals and thin pencil style hands. 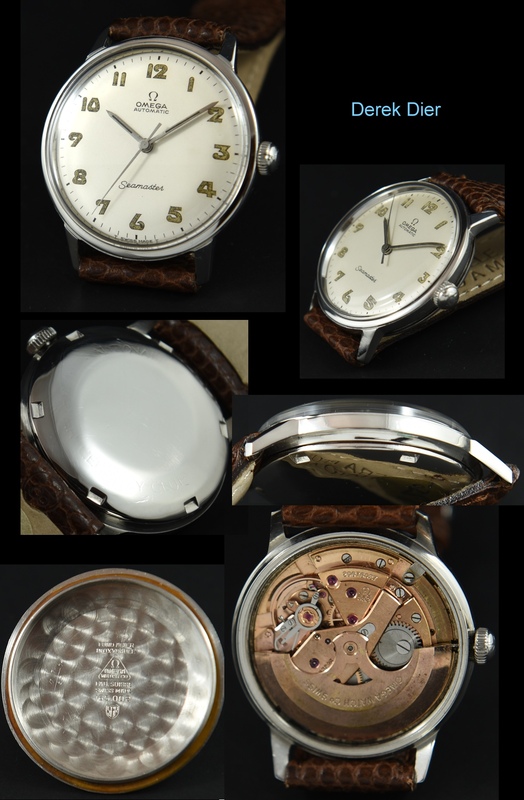 The automatic winding caliber 552 OMEGA rotor winding movement was just cleaned and is accurate. This watch just pops on the wrist with this amazing ORIGINAL dial!